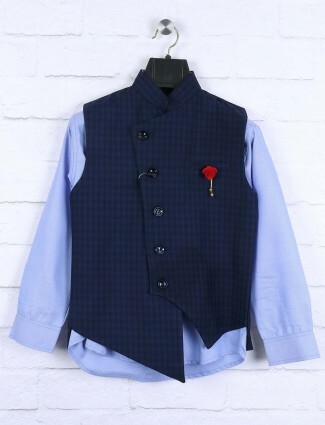 Boys get the smart traditional look with waistcoat sets to wear at traditional ceremonial and wedding events to look dashing in waistcoat sets. 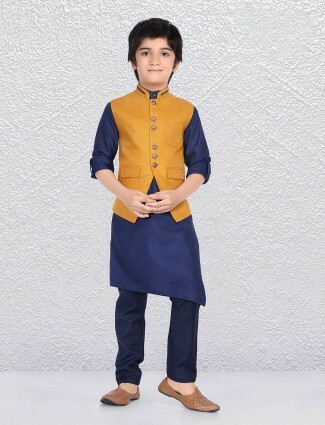 Buy waistcoat sets for boys which are available in different styles like, linen, raw silk, cotton silk, satin, jute in all royal to pastel shades of colors at G3+ fashion. 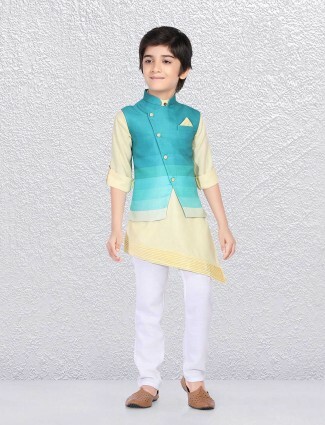 The sets are designed to give a complete look with ease and comfort to boys, with a pair of waistcoat, kurta or shirt and a matching pair to look ethnic and charming.The designs are available in different styles of patterns and cuts and colors of boys waistcoat and shirt sets, to the sophisticated feel of fabrics in rich and elegant look. 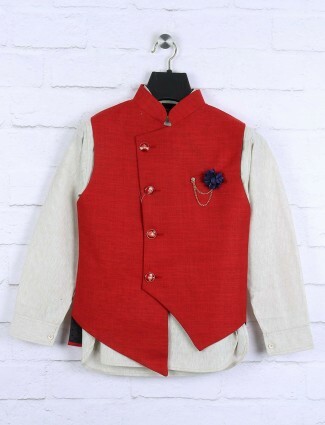 Textured fabric waistcoat or the brocade look, the stylish waistcoat set collection for boys are available for online shopping with g3fashions.in to charm your looks at your ethnic wear look for all boys from ages 1 to 16 years with price range of INR 1600 starting. 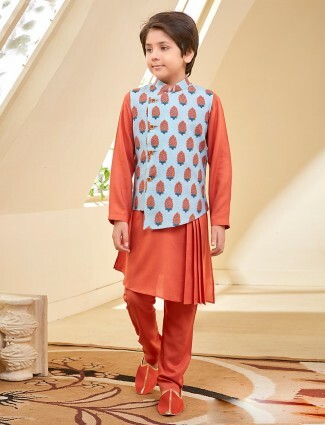 The stylish and sophisticated form of classy fabrics of linen and raw silk in prints, sober look can be got at festivals, most comforting pants or trousers worn with these and a brighter shade of linen kurta will do the right styles for boys. 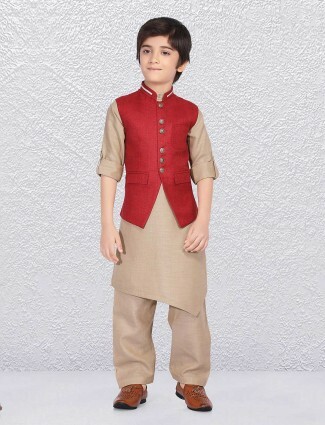 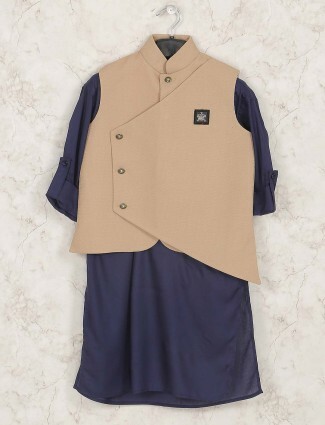 Get linen waistcoat set for boys, velvet waistcoat set for boys, Jacquard and linen velvet waistcoat set, cotton silk waistcoat set and others. 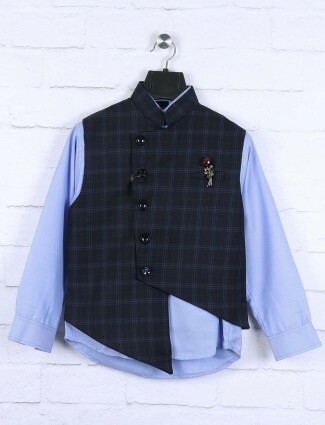 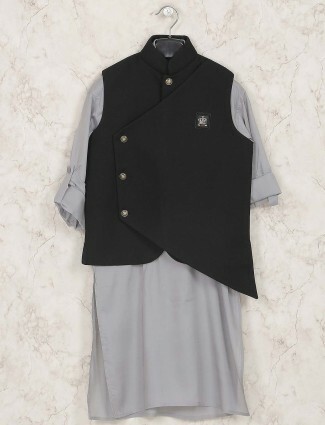 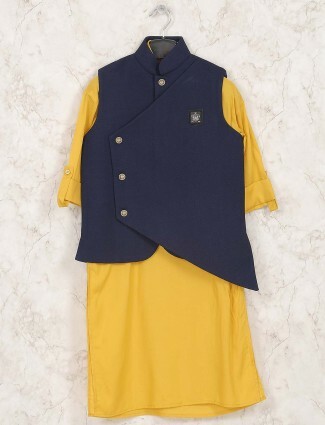 We keep many styles and types of waistcoat sets for boys in their growing up days, to wear them at occasions. 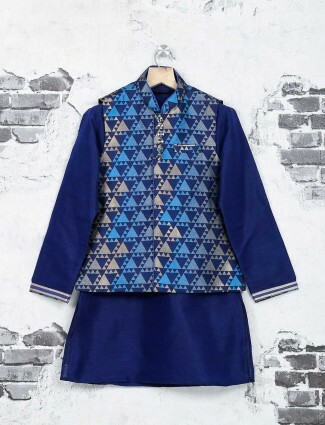 Find this ethnic wear suitable for all occasions, as they come in semi-formal to heavy designs in embroideries to rich fabrics. 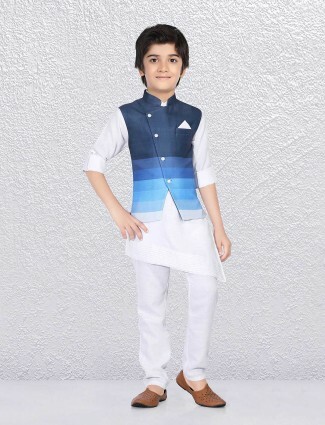 Our collection that is available online brings a wide range of products in the Littlebull brand and G3+ which has designed waistcoat sets in trending styles that can keep boy’s style statements fresh and unique. 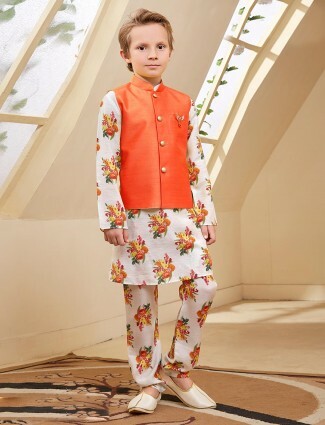 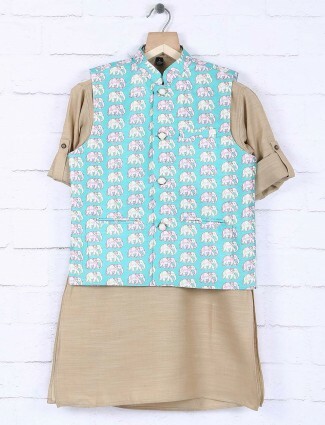 They are matched up with different kurta, bottom wear and waistcoat to complete this ethnic wear type, the kurta being in plain and the waistcoat sets style by its fabric type for boys of 5-6 years, 7-8 years and 9-10 years and more groups. 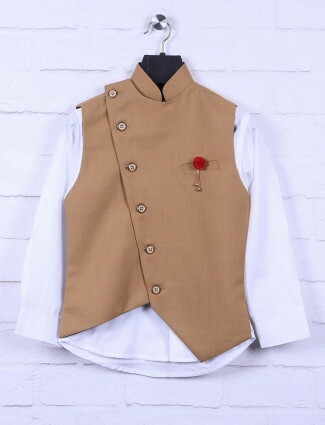 Another type is where the kurta and waistcoat are both plain in contrasting colours to give simple elegance like red and green waistcoat set, black and beige waistcoat set, etc. 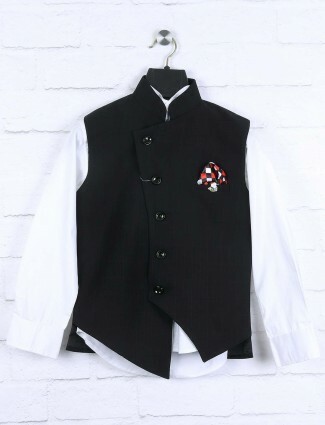 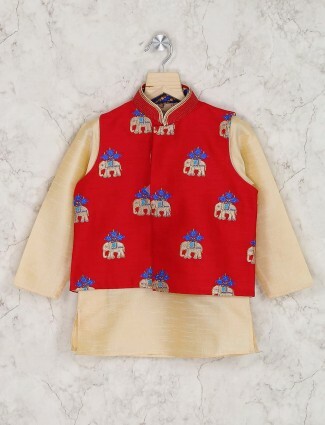 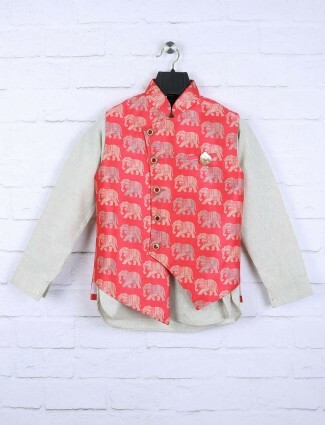 Your boys can have a collection of waistcoat sets from G3fashion.com bringing a new revived fashion with silk waistcoat set to linen waistcoat set to wear at pujas and festivals, young boys of 1 year, 2 year, 3-4 year can look very sweet and traditional in these. 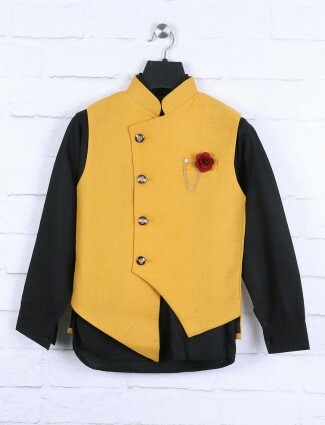 A collection for teens from 13-16 years in embroidery styles and designer cuts, which enhance the waistcoat in chinese collar and hem cuts in straight, curved, or overlap styled. 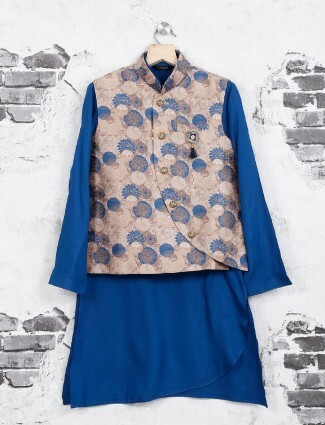 Choose from colours like blue, beige, maroon, green, red, pink, gold, white and black which allure the ethnic styles. 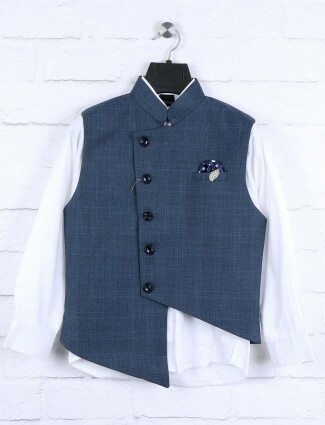 Get the best waistcoat sets for boys online in India like Delhi, Chandigarh, Hyderabad, Ahmedabad, Surat, Mumbai, Pune, Bangalore, Kolkata, chennai and others places. 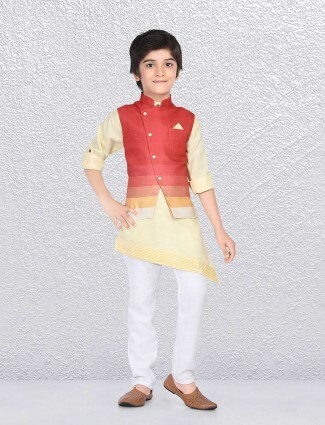 Our worldwide shipping services across the world to Uk, USA, Canada, New Zealand, Netherlands, Mauritius, Malaysia, Australia, Arab countries and more provides the ethnic wear for boys in best quality and designs in trend for boys.